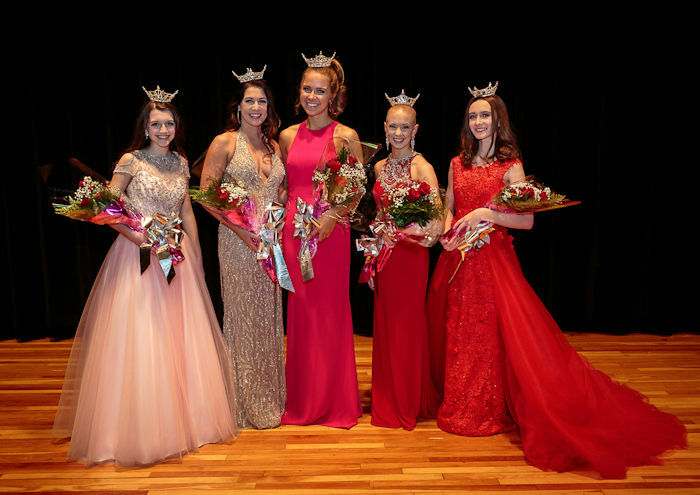 IN 2019 THE MISS CENTRAL PENNSYLVANIA AND MISS MIDSTATE COMPETITION MERGED KEEPING SOME TITLES FROM EACH OF THE COMPETITIONS. LISA METZGER, WHO HAD BEEN THE EXECUTIVE DIRECTOR OF THE MISS MIDSTATE COMPETION, JOINED JOHN AND ROSIE METZGER AS THE THIRD DIRECTOR OF THE MISS CENTRAL PENNSYVANIA COMPETITION. Also competing in Miss Pennsylvania will be Miss Mercer County Lexi Bryant (a contestant in the 2018 Miss Central Pennsylvania Competition), Miss Flights of Freedom BreeOnna Springer (Miss Seven Mountains 2018 and a contestant in the 2016 Miss Central Pennsylvania Competitiond), Miss York County Abigail Bachman ( (a contestant in the 2017 Miss Central Pennsylvania Competition and winner of the Shannon Lloyd Talent in Dance Awad in the 2016 Competition), Miss Susquehanna Valley Elisa Rivera (First Runner-Up, Talent Winner and Shannon Lloyd Memorial Talent in Dance Award Winner in the 2018 Miss Central Pennsylvania Competition, Talent Winner and Most Talented Non-Finalist in the 2017 Competition and Miss Greater Berks County Victoria Vespico (Miss Greater Juniata Valley's Outstanding Teen 2013 and winnner of the Interview Award and the Teen Spirit Award) and Miss Greater Reading (Miss MidState's Outstanding Teen 2018 and Miss State Capitol's Outstanding Teen 2017). Competing in Miss Pennsylvania's Outstanding Teen Competitioon will be Miss Butler County Courtney Bearer (Miss Freedom Forge's Outstanding Teen 2015), Miss Greater Hazleton Mackenzie Sherman (a contestant in the 2018 Miss Central Pennsylvania's Outstanding Teen Competition), Miss Keystone Avia Weber (Miss Central Pennsylvania's Outstanding Teen 2017), Brooke Piscotty (Miss Greater Juniata Valley's Outstanding Teen 2018 and winner of the Talent and Shannon Lloyd Talent in Dance Awards), Miss Red Rose City Allison Gress (a coontestant in the 2017 Miss Central Pennsylvania's Outstanding Teen Competition) and Brittany Checkiewiez (a contestat in the 2019 Miss Central Pennsylvania's Outstanding Teen Pageant where she was the winner of the Interview,Non-Finalist Interview and Elena LaQuatra Teen Spirit Award. Also competing in the 2018 Miss Pennsylvania Competition were Miss Pocono Rebecca Zaneski (a contestant in the 2010 Miss Central Pennsylvania's Outststanding Teen Competition), Miss Red Rose City Jenna Martorana (Non-Finalist Talent Winner in the 2018 Miss Central Pennsylvania Competition), Miss First Capitol Elisa Rivera (First Runner-Up, Talent Winner and Shannon Lloyd Memoria Talent in Dance Award Winner in the 2018 Miss Central Pennsylvania Competition, Talent Winner and Most Talented Non-Finalist in the 2017 Competition who won the Most Talented Non-Finalist Award, Miss White Rose City Donna Montgomery (a contestant in the 2016 Miss Central Pennsylvania Competition), Miss Keystone Kayla Schneider (Lifestyle and Fitness in Swimsuit Award Winner in the 2017 Miss Central Pennsylvania Compettion and a contestant in the 2016 Competition), Miss Laurel Summit Jayden Moffa (Miss Freedom Forge 2016), Miss Laurelwood Abigail Bachman (a contestant in the 2017 Miss Central Pennsylvania Competition and winner of the Shannon Lloyd Talent in Dance Awad in the 2016 Competition) who won named a Top Eleven Semi-finalsit and was named a Preliminary Talent Winner, Miss Hershey Area Tiffany Shrom (a contestant in the 2016 & 2017 Miss Central Pennsylvania Competitions), Miss Scranton/Wilkes-Barre Katie Carlson (Miss Greater Juniata Valley,Talent Award Winner, Lifestyle and Fitness in Swimsuit Award Winner and Shannon Lloyd Memorial Talent in Dance Award in the 2015 Miss Central Pennsylvania Competition and First Runner-Up in the 2016 Competition) who was named Second Runner-Up to Miss Pennsylvania, Miss Northeastern Pennsylvania Marielle (Shubzda) Roberts McDonald (a contestant in the 2011 Miss Central Pennsylvania's Outstanding Teen Competition) and Miss State Capitol Juliana Wardle (a contestant in the 2014 Miss Central Pennsylvania's Outstanding Teen Competition), First Runner-Up and Talent Winner in the 2013 Competition and Miss Greater Juniata Valley's Outstanidng Teen in the 2012 Competition). In Texas Miss DFW Carlye Zeringue (Miss Central Pennnsylvania's Outstanding Teen 2015 competed for the title of Miss Texas where she was selected to Top Ten and received the Over-All Evening Wear Award, the Outstanding Rookie Interview Award and the Outstanding Rookie Evening Wear Award, and in Colorado Miss Rocky Mountains Crystal Chilcott (a contestant in the 2008 Miss Central Pennsylvania's Outstanding Teen Competition) competed for the title of Miss Coloado and was named to the Top Fifteen and also was the awarded the Miss America Academic Award and the Miss Colorado's Directors.Award. 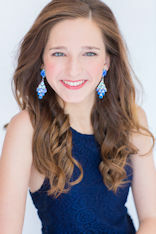 Also competing in the the 2018 Miss Pennsylvania's Outstanding Teen Competition will be Miss Crawford Countiy's Outstanding Teen Olivia Allison (First Runner-Up in the 2018 Miss Central Pennsylvania Competition and a contestants in the 2017 Competition), Miss Bucks County's Outstanding Teen Mackenzie Sherman (a contestant in the 2018 Miss Central Pennsylvania's Outstanding Teen Competition) who was named a Top Eleven Semi-Finalist, Miss Northeastern Pennsylvania Abby Traxker (Miss Greater Juniata Valley's Outstanding Teen and Talent Award Winner in the 2017 Miss Central Pennsylvania's Outstanding Teen Competition, Miss Central Pennsylvania's Outstanding Teen and Talent and Interview Award Winner in the 2016 Competition, Miss Greater Juniata Valley's Outstanding Teen in the 2015 Competition and Miss Freedom Forge's Outstanding Teen in the 2014 Competition) who was named First Runner-Up to Miss Pennsylvania's Outstanidng Teen, Academic Award Winner, Leadership Award Winner, Top Children's Miracle Network Fundriaser and Ad Sales Winner, Miss Cumberland Valley's Outstanding Teen Jordan Fritsch (Most Talented Non-Finalsit and Spirit Award Winner in the 2017 Miss Central Pennsylvania's Outstanding Teen Competition, Seeond Runner-Up and winner of the Elena LaQuatra Spirit Award in the 2016 Competition and a contestant in the 2015 Competition) who won the Teen Spirit Award, Miss Susquehanna Valley's Outstanding Teen Morgan Harrar (a contestant in the 2018 Miss Central Pennsylvania's Outstanding Teen Competition and First Runner-Up in both the 2016 and 2017 Miss Central Pennsylvania's Outstanding Teen Competitions), Miss Keystone's Outstanding Teen Noelle Schneider (a contestant in the 2017 Miss Central Pennsylvaniia's Outstanding Teen Competition) who was named a Top Eleven Semi-Finalist, Miss Laurelwood's Outstanding Teen Courtney Bearer (Miss Freedom Forge's Outstanding Teen 2015) who was named Non Finalist Lifestyle and Fitness in Active Wear Winner and Teens in Action Award Winner, Miss MidState's Outstanding Teen Avia Weber (Miss Central Pennsylvania's Outstanding Teen 2017) who was named a Top Eleven Semi-Finalist, amd Second Place Ads Salses Person, and Miss Greater Carlisle Allison Gress (a coontestant in the 2017 Miss Central Pennsylvania's Outstanding Teen Competition) who was Non-Finalist Talent Winner. MISS CENTRAL PENNSYLVANIA KATIE SCHRECKENGAST BECAME THE THIRD MISS CENTRAL PENNSYLVANIA TITLEHOLDER IN SIX YEARS TO WIN THE TITLE OF MISS PENNSYLVANIA. SHE WENT ON TO ACHEIVE TOP TEN STATUS AT MISS AEMERICA WHICH WAS HELD IN ATLANTIC CITY IN SEPTEMBER 2017. Also competing in the 2017 Miss Pennsylvania Pageant were Miss Mountain Laurel Elisa Rivera (Most Talented Non-Finalist in the 2017 Miss Central Pennsylvania Pageant), Miss Keystone Donna Montgomery (a contestant in the 2016 Miss Central Pennsylvania Pageant), Miss Pocono Kayla Schneider (Lifestyle and Fitness in Swimsuit Award Winner in the 2017 Miss Central Pennsylvania Pageant and a contestant in the 2016 Pageant), Miss Armstrong County Jayden Moffa (Miss Freedom Forge 2016) who was named a Top Eleven Finalsit at Miss Pennsylvania, Miss Greater Reading Abigail Bachman (a contestant in the 2017 Miss Central Pennsylvania Pageant and winner of the Shannon Lloyd Talent in Dance Awad in the 2016 Pageant) who was named a Top Eleven Finalsit, Miss Southwestern Pennsylvania Anna Oberneder (Second Runner-Up in the 2016 Miss Central Pennsylvania Pageant and Non-Finalsit Talent Winner in the 2013 Miss Central Pennsylvania Pageant), Miss White Rose City Tiffany Shrom (a contestant in the 2016 & 2017 Miss Central Pennsylvania Pageants), Miss Northeastern Pennsylvania Katie Carlson (Miss Greater Juniata Valley, Talent Award Winner, Lifestyle and Fitness in Swimsuit Award Winner and Shannon Lloyd Memorial Talent in Dance Award in the 2015 Miss Central Pennsylvania Pageant and First Runner-Up in the 2016 Pageant) who was named Fourth Runner-Up to Miss Pennsylvania, Miss MidState Kaitlyn Miller (Second Runner-Up and winner of the Elena LaQuatra Spirit Award in the 2009 Miss Central Pennsylvania's Outstanding Teen Pageant) who was named a Miss Pennsylvania Top Eleven Finalist as well as winning both the Preliminary Talent and Preliminary Swimsuit Awares at Miss Pennsylvania, Miss Wilkes-Barre/Scranton Cassie Cerulli (Miss Greater Juniata Valley's Outstanding Teen 2010 and winner of the Talent in Dance Award and the Teen Spirit Award in the 2010 Outstanding Teen Pageant) who was named Third Runner-Up to Miss Pennsylvania, Miss Red Rose City Marla Pifer (Miss Greater Juniata Valley 2014 and winner of the Interview and Lifestyle and Fitness in Swimsuit Awards,a contestant in the 2013 Pageant and Second Runner-Up and Non-Finalsit Talent Winner in the 2012 Pageant) whos was named First Runner-Up to Miss Pennsylvania and Miss Luzerne County Marielle (Shubzda) Roberts McDonald (a contestant in the 2011 Miss Central Pennsylvania's Outstanding Teen Pageant). 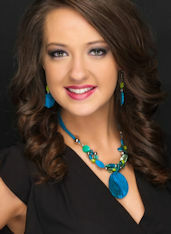 in Colorado, Miss Keystone Crystal Chilcott (a contestant in the 2008 Miss Central Pennsylvania's Outstanding Teen Pageant) competed in the Miss Colorado Pageant and was named a Top Ten Semi-Finalsit and the winner of the Director's Award. 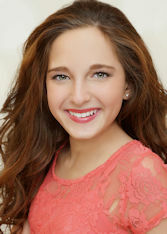 Also competing in the the 2017 Miss Pennsylvania's Outstanding Teen Pageant were Miss Bucks County's Outstanding Teen Jordan Fritsch (Most Talented Non-Finalsit and Spirit Award Winner in the 2017 Miss Central Pennsylvania's Outstanding Teen Pageant, Seeond Runer-Up and winner of the Elena LaQuatra Spirit Award in the 2016 Pageant and a contestant in the 2015 Pageant) who was the winner of the Spirit Award at Miss Pennsylvania's Outstanding Teen Pageant, Miss Pocono's Outstanding Teen Alissa Alesander (a contestant in the 2017 Miss Central Pennsylvania's Outstanding Teen Pageant), Miss Philadelphia's Outstanding Teen Morgan Harrar (First Runner-Up in both the 2016 and 2017 Miss Central Pennsylvania's Outstanding Teen Pageants), Miss Susquehanna Valley's Outstanding Teen Hallie Jacobs (Second Runner-Up in the 2017 Miss Central Pennsylvania Outstanding Teen Pageant) who was named a Top Eleven Semi-Finalsit and the the winner of the Smile Award at Miss Pennsylvania's Outstanding Teen Pageant, Miss Lancaster County's Outstanding Teen Noelle Schneider (a contestant in the 2017 Miss Central Pennsylvaniia's Outstanding Teen Pageant) who was named a Top Eleven Semi-Finalist at Miss Pennsylvania's Outstanding Teen Pageant, Miss Northeastern Pennsylvania's Outstanding Teen Abigail White (Second Runner-Up in the 2015 Miss Central Pennsylvania's Outstanding Teen Pageant) who was named First Runner-Up to Miss Pennsylvania's Outstanding Teen and won the Outstanding Achioevement in Academic Life Award while at Miss Pennsylvania's Outstanding Teen Pageant, Miss Butler County's Outstanding Teen Courtney Bearer (Miss Freedom Forge's Outstanding Teen 2015) who both the Non-Finalist Talent and the Non-Finalsit Lifestyle and Fitness in Active Wear Awards as well as a Scholarship to Miss America's Outstanding Teen "Teens in Training" Prorgam at Miss Pennsylvania and Allison Gress (a coontestant in the 2017 Miss Central Pennsylvania's Outstanding Teen Pageant) who competed as an At-Large Contestant and won the Legacy Award at Miss Pennsylvania's Outstanding Teen Pageant. Also competing in the 2016 Miss Pennsylvania Pageant were Miss Greater Delaware Valley BreeOnna Springer (a contestant in the 2016 Miss Central Pennsylvania Pageant), Miss Mountain Laurel Donna Montgomery (a contestant in the 2016 Miss Central Pennsylvania Pageant, Miss Keystone Katie Carlson (First Runner-Up in the 2016 Miss Central Pennsylvania Pageant, Miss Greater Juniata Valley, Talent Award Winner, Lifestyle and Fitness in Swimsuit Award Winner and Shannon Lloyd Memorial Talent in Dance Award in the 2015 Miss Central Pennsylvania Pageant and First Runner-Up in the 2016 Pageant) who was named First Runner-Up to Miss Pennsylvania, Miss Lancaster County Kayla Schneider (a contestant in the 2016 Miss Central Pennsylvania Pageant), Miss Red Rose City Tiffany Shrom (a contestant in the 2016 Miss Central Pennsylvania Pageatn) Miss Philadelphia Holly Harrar (Miss Freedom Forge 2015 and winner of the Talent and Shannon Lloyd Memorial Talent in Dace Award and a contestant in both the 2014 and 2013 Miss Central Pennsylvania Pageants) who was named Fourth Runner-Up to Miss Pennsylvania,,Miss Berks County Victoria Deluhrey (First Runner-Up in the 2014 Miss Central Pennsylvania's Outstanding Teen Pageant, Second Runner-Up in the 2013 Miss Central Pennsylvania's Outstandng Teen Pageant and a contestant in the 2012 and 2013 Miss Central Pennsylvania's Outstanding Teen Pageants), Miss Armstrong County Stephanie Owens (Winner of the Interview Award and the Non-Finalsit Talent Award in the 2015 Miss Central Pennsylvania Pageant, Mon-Finalsit Talent Winner and People's Choice Award Winner in the 2014 Pageant and People's Choice Award Winner in the 2013 Pageant), Miss Jewel of the West Anna Oberneder (Second Runner-Up in the 2016 Miss Central Pennsylvania Pageant and Non-Finalsit Talent Winner in the 2013 Miss Central Pennsylvania Pageant), Miss White Roxe City Abigail Bachman (winner of the Shannon Lloyd Talent in Dance Awad in the 2016 Miss Central Pennsylvania Pageant) who was named to Top Eleven at Miss Pennsylvania, Miss Northeastern Pennsylvania Kaitlyn Miller (Second Runner-Up and winner of the Elena LaQuatra Spirit Award in the 2009 Miss Central Pennsylvania's Outstanding Teen Pageant) who was named Non-Finalist Talent Winner at Miss Pennsylvania, Miss Allegheny Valley Libby Hornstein (Miss Greater Juniata Valley's Outstanding Teen 2013 and winner of the 2013 Tenn Interview Award and Miss Central Pennsylvania's Outstanding Teen 2012), Miss Luzerne County Cassie Cerulli (Miss Greater Juniata Valley's Outstanding Teen 2010 and winner of the Talent in Dance Award and the Teen Spirit Award in the 2010 Outstanding Teen Pageant) who was named Second Runner-Up to Miss Pennsylvania, Miss Mid State Marla Peiffer (Miss Greater Juniata Valley 2014 and winner of the Interview and Lifestyle and Fitness in Swimsuit Awards,a contestant in the 2013 Pageant and Second Runner-Up and Non-Finalsit Talent Winner in the 2012 Pageant) who was named to Top Eleven at Miss Pennsylvania,Miss Washington Crossing Juliana Wardle (a contestant in the 2014 Miss Central Pennsylvania's Outstanding Teen Pageant, First Runner-Up and Talent Winner in the 2013 Pageant and Miss Greater Juniata Valley's Outstanidng Teen in the 2012 Pageant), and Miss Southwestern Pennsylvania Marielle (Shubzda) Roberts McDonald (a contestant in the 2011 Miss Central Pennsylvania's Outstanding Teen Pageant) who won the Miss America Community Service Award at Miss Pennsylvania. in Colorado, Crystal Chilcott (a contestant in the 2008 Miss Central Pennsylvania's Outstanding Teen Pageant) competed in the Miss Colorado Pageant where she was the recipient of the Miss Ameroca Academic Scholarship Award and placed in the Top Fifteen. 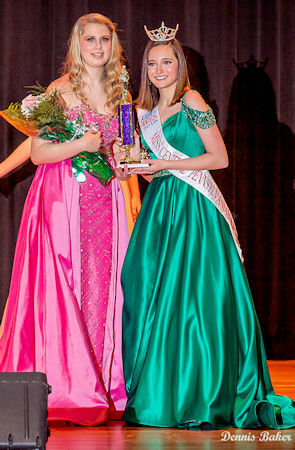 Also competing in the the 2016 Miss Pennsylvania's Outstanding Teen Pageant were Miss Susquehanna Valley's Outstanding Teen Morgan Harrar (First Runne-Up, Talent Award Winner and Talent in Dance Winner in the 2016 Miss Central Pennsylvania's Outstanding Teen Pageant), Miss White Rose City's Outstanding Teen Natalie Shawver (a contestant in the 2016 Miss Central Pennsylvania's Outstanding Teen Pageant), Miss Wilkes-Barre/Scranton's Outstanding Teen Abigail White (Second Runner-Up in the 2015 Miss Central Pennsylvania's Outstanding Teen Pageant) Miss Philadelphia's Outstanding Teen Kayla Root (People's Choice Award Winner in the 2014 Miss Central Pennsylvania's Outandng Teen Pageant) who was named to Top Twelve at Miss Pennsylvania's Outstanding Teen, Miss Laurel Highland's Outstanding Teen Courtney Bearer (Miss Freedom Forge's Outstanding Teen 2015), Miss Crawford County's Outstanding Teen Jordan Fritsch (Seond Runer-Up and winner of the Elena LaQuatra Spirit Award in the 2016 Miss Central Pennsylvania's Outstanding Teen Pageant and a contestant in the 2015 Pageant) who was the recipient of the Spirit Award at Miss Pennsylvania's Outstanding Teen and Miss Allegheny Valley's Outstanding Teen Victora Vespico (Miss Greater Juniata Valley's Outstanding Teen 2013, winnner of the Interview Award and the Teen Spirit Award) who was named Non-Finalsit Interview Winner and Leadership Award Winner at Miss Pennsylvania's Outstanding Teen. Also competing in the 2015 Miss Pennsylvania Pageant were Miss Erie County Libby Hornstein (Miss Greater Juniata Valley's Outstanding Teen 2013 and winner of the 2013 Tenn Interview Award and Miss Central Pennsylvania's Outstanding Teen 2012), Miss Moriaine State Stephanie Owens (Winner of the Interview Award and the Non-Finalsit Talent Award in the 2015 Miss Central Pennsylvania Pageant, Mon-Finalsit Talent Winner and People's Choice Award Winner in the 2014 Pageant and People's Choice Award Winner in the 2013 Pageant) Miss Northeastern Pennsylvania Cassie Cerulli (Miss Greater Juniata Valley's Outstanding Teen 2010 and winner of the Talent in Dance Award and the Teen Spirit Award in the 2010 Outstanding Teen Pageant) who was named Second Runner-Up to Miss Pennsylvania,and was named a Prelminary Talent Award Winner and Preliminary Swimsuit Winner along with being the recipient of a Duke of Edinburgh Silver Award, Miss Armstrong County Anna Oberneder (Non-Finalsit Talent Winner in the 2013 Miss Central Pennsylvania Pageant), Miss Golden Triangle Kaitlynne Kline (a contestant in the 2009 Miss Central Pennsylvania's Outstanding Teen Pageant), Miss Greater Reading Ninna Jenkins (First Runner-Up in the 3015 Miss Central Pennsylvania Pageant), Miss State Capitol Lexie Abplanalp (Second Runner-Up in the 2012 Miss Central Pennsylvania's Outstanding Teen Pageant, Miss Hershey Area Stephanie Bracken (a contestant in the 2013 Miss Central Pennsylvania Pageant), Miss MidState Brandi (Lawrence) Santaniello (a contestant in the 2008 and 2009 Miss Central Pennsylvania's Outstanding Teen Pageant) and Miss York County Marla Peiffer (Miss Greater Juniata Valley 2014 and winner of the Interview and Lifestyle and Fitness in Swimsuit Awards,a contestant in the 2013 Pageant and Second Runner-Up and Non-Finalsit Talent Winner in the 2012 Pageant) who was named to Miss Pennsylvania Top Eleven and received a Duke of Edinburgh Bronze Award. 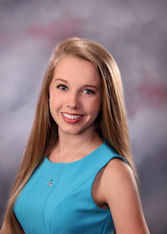 Also competing in the the 2015 Miss Pennsylvania's Outstanding Teen Pageant were Miss Southwestern Pennsylvania's Outstanding Teen Tristin Kresak (a contestant in 2014 Miss Central Pennsylvania's Outstanding Teen Pageant) who was named to Miss Pennsylvania's Outstanding Teen Top Eleven and awarded the top Interview Award, the Outstanding Achievemnent in Academic Life Award a Duke of Edinburgh Bronze Award, Miss Susquehanna Valley's Outstanding Teen Victora Vespico (Miss Greater Juniata Valley's Outstanding Teen 2013. winner of the Interview Award and the Teen Spirit Award) who won the Teen Spirit Award, Abigail White (Second Runner-Up in the 2015 Miss Central Pennsylvania's Outstanding Teen Pageant) who was named to Miss Pennsylvania's Outstandng Teen Top Eleven and received a Duke of Edinburgh Bronze Award, Miss MidState's Outstanding Teen Kayla Root (a contestant in the 2014 Miss Central Pennsylvania's Outstanding Teen Pageant) who won the Miss Pennsylvania's Outstanding Teen Scholastic Achievement Award. Miss Montgomery County's Outstanding Teen Jordyn Fritizch (a contestant in the 2014 Miss Central Pennsylvania's Outstanding Teen Pageant), Miss Bucks County's Outstanding Teen JoJo Malone (a ccontestant in the 2014 Miss Central Pennsylvannia's Outstaniding Teen Pageant), Miss Philadelphia's Outstanding Teen Samantha Renck (Miss Central Pennsylvania's Outstanding Teen 2013 and winner of the Talent Award, the Shannon Lloyd Talent in Dance Award and the Elena LaQuatra Spirit Award in the Pageant and a contestant in the 2011 Miss Central Pennsylvaniia's Outstanding Teen Pageant) who was named Miss Pennsylvania's Outstanding Teen, Miss Lakeland Area's Outstanding Teen Alivia Jacobs (a contestant in the 2015 Miss Central Pennsylvania's Outstanding Teen Pageant) and Miss Alle-Kiski's Outstanding Teen (Marielle (Shubzda) Roberts McDonald (a contestant in the 2011 Miss Central Pennsylvania's Outstanding Teen Pageant) who was named Third Runner-Up to Miss Pennsylvania's Outstanding Teen and also received the Photogenic Award and a Duke of Edinburgh Bronze Award. Also competing in the 2014 Miss Pennsylvania Pageant were Miss York County Tristalyn Bixler-Kint (Miss Central Pennsylvania 2012, Miss Greater Juniata Valley 2011, First Runner-Up in the 2013 Pageant and a contestant in the 2010 Pageant, Miss Crawford County Alex-Taylor Deitz (Second Runner Up and winner of the Lifestyle and Fitness in Swimsuit Award in the 2013 Miss Central Pennsylvania Pageant) who placed in Top Eleven, Miss Hershey Area Cassie Cerulli (Miss Greater Juniata Valley's Outstanding Teen 2010 and winner of the Talent in Dance Award and the Teen Spirit Award in the 2010 Outstanding Teen Pageant) who was named Fourth Runner-Up, Miss Amethyst of the Valley Anna Oberneder (Non-Finalsit Talent Winner in the 2013 Miss Central Pennsylvania Pageant) who received the CMN Award, Miss Moraine State Katie Alexander (a contestant in the 2013 Miss Central Pennsylvania Pageant), Miss State Capitol Hannah Timm (Miss Greater Juniata Valley's Outstanding Teen 2008) who was named the Non-Finalsit Talent Winner, Miss Laurelwood Stephanie Bracken (a contestant in the 2013 Miss Central Pennsylvania Pageant), Miaa Berks County Holly Harrar (a contestant in the 2013 and 2014 Miss Central Pennsylvania Pageants), Miss Greater Reading Lauren Lombardo (a contestant in the 2013 Miss Central Pennsylvania Pageant), Miss Keystone Laura Traub (Miss Central Pennsylvania 2013 and winner of the 2013 Newcomer Award), Miss Lakeshore Erika Bristor (Miss Central Pennsylvania's Outstanding Teen 2008 and winner of the 2008 Talent in Dance Award) who received the Miss America Academic Award, Miss Neshaminy Valley Gianna Gagliardi (Newcomer Award winner in the 2014 Miss Central Pennsylvania Pageant)who placed in Top Eleven, Miss Washington Crossing Stephanie Kay Owens (Non-Finalsit Talent Award Winner in the 2014 Miss Central Pennsylvania Pageant and Peeople's Choice Award Winner in the 2012 Pageant), Muss Mercer County Lexie Abplanalp (a contestant in the 2012 Miss Central Pennsylvania's Outstanding Teen Pageant) and Miss Armstrong County Katelynne Kline (a contestant in the 2009 Miss Central Pennsylvania's Outstanding Teen Pageant). In New York, Miss Empire Rose (New York) Catherine Janisko (Miss Freedom Forge 2013 and winner of the Talent and Interview Awards in the 2013 Pageant) competed for the title of Miss New York and was named 4th Runner Up, in Colorado Miss Colorado Springs (Colorado) Crystal Chilcott (a contestant in the 2008 Miss Central Pennsylvania's Outstanding Teen Pageant) competed for the title of Miss Colorado and was awarded the Non-Finalist Talent Award and the Miss America Academic Award, and in Ohio Miss Montgomery County (Ohio) MacKenzie Bart (Second Runner-Up in the 2007 Miss Central Pennsylvania's Outstanding Teen Pageant and Third Runner-Up in the 2006 Miss Central Pennsylvania's Outstanding Teen Pageant) competed for and won the title of Miss Ohio. Mackenzie went on to win a Preliminay Talent Award and was named to Top Ten at Miss America in September in Atlantic City, NJ. In addition, in Colorado Crystal Chilcott (a contestant in the 2008 Miss Central Pennsylvania's Outstanding Teen Pageant) fcompeted for the title of Miss Colorado. Also competing in the the 2014 Miss Pennsylvania's Outstanding Teen Pageant will be Miss Laurelwoods's Outstanding Teen Marielle (Shubzda) Roberts McDonald (a contestant in the 2011 Miss Central Pennsylvania's Outstanding Teen Pageant) who placed in the Top Eleven and received a Duke of Edinburgh Silver Award, Miss Moraine State's Outstanding Teen Claudia Komondor (a contestant in the 2013 Miss Central Pennsylvania's Outstanding Teen Pageant) who won the Non-Finalsit Fitness Award, Moss Keystone's Outstanding Teen Tory Deluhery (First Runner-Up in the 2014 Miss Central Pennsylvania's Outstanding Teen Pageant, Second Runner-Up in the 2012 Pageant and a contestant in the 2011 and 2012 Pageants) who won the Non-Finalsit Interview Award, Miss Southeastern Pennsylvania's Outstanding Teen Kayla Root (People's Choice Award Winner in the 2014 Miss Central Pennsylvania's Outstanding Teen Pageant who received a Bronze Duke of Edinburgh Award, Miss Light of the Firefly's Outstanding Teen Brenna Sheaffer (Second Runner_up in the 2014 Miss Central Pennsylvania's Outstanding Teen Pageant), Samantha Renck (Miss Central Pennsylvania's Outstanding Teen 2013 and winner of the Talent Award, the Talent in Dance Award and the Elena LaQuatra Spirit Award who was named Fourth Runner-Up, Miss Washington Crossing's Outstanding Teen Jacqueline Miles (winner of the Talent in Dance Award in the 2014 Miss Central Pennsylvania's Outstanding Teen Pageant and the People's Choice Award in the 2013 Pageant) and Tristin Kresak, an At-Large Contestant (a conetstant in the 2014 Miss Central Pennsylvania's Outstanding Teen Pageant). IN THE 2013 MISS PENNSYLVANIA SCHOLARSHIP PAGEANT, MISS GREATER JUNIATA VALLEY ANNIE ROSELLINI BECAME THE SECOND MISS CENTRAL PENNSYLVANIA/MISS GREATER JUNIATA VALLEY/MISS FREEDOM FORGE/ MISS TRI-COUNTY CONTESTANT IN A ROW TO BRING HOME THE STATE TITLE WHILE COMPETING WITH OUR LOCAL TITLE. 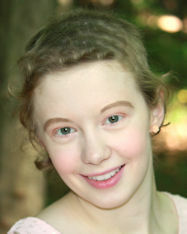 ANNIE WON BY OUTSCORING THIRTY-THREE OTHER CONTESTANTS IN THE PAGEANT WHICH WAS HELD ON JUNE 15 IN PITTSBURGH. ANNIE WENT ON TO REPRESENT PENNSYLVANIA AND THE CENTRAL PENNSYLVANIA AREA AT MISS AMERICA IN ATLANTIC CITY IN SEPTEMBER 2013. Also competing in the 2013 Miss Pennsylvania Pageant were Miss Alle-Kiski Tristalyn Bixler-Kint (Miss Central Pennsylvania 2012, Miss Greater Juniata Valley 2011, First Runner-Up in the 2013 Pageant and a contestant in the 2010 Pageant, Miss Golden Triangle Ales-Taylor Deitz (Second Runner Up in the 2013 Miss Central Pennsylvania Pageant) who was named to Top Elevent, Miss Amesthest of the Valley Erica Bristor (Miss Central Pennsylvania's Outstanding Teen 2008 and the winner of the Talent in Dance Award and a contestant in the 2013 Miss Central Pennsylvania Pageant) Miss Wilkes-Barre/Scranton Cassie Cerulli (Miss Greater Juniata Valley's Outstanding Teen 2010 and winner of the Talent in Dance Award and the Teen Spirit Award) who was named to the Top Eleven, Miss York County Laura Traub Laura Traub (Miss Central Pennsylvania 2011 and winner of the Newcomer Award) who was named to the Top Eleven, Miss Southwesteren Pennsylvania Kristy Weber (a contestant in the 2010 Miss Central Pennsylvannia Pageant), Miss Neshaminy Valley Marla Peiffer, (a contestants in the 2013 Miss Central Pennsylvnaia Pageant and Second Runner-Up in the 2012 Pageant), Miss Pennsbury Stepahnia Owens (First Runner-Up in the 2012 Miss Central Pennsylvania Pageant), Miss Mountain Laurel Anna Oberneder (Non-Finalsit Talent Winner in the 2013 Miss Central Pennsylvania Pageant),Miss Steel Valley Lauren Johns (First Runner-Up and Peopls's Choice Award Winner in the 2011 Miss Central Pennsylvania Pageaant) who was named Miss Congeniality, Miss Lehigh Area Holly Harrar (a contestant in the 2013 Miss Central Pennsylvania Pageant) and Miss Moraine State Katelynne Kline (a contestant in the 2009 Miss Central Pennsylvania's Outstanding Teen Pageant). In Ohio, Miss Clayland (Ohio) Mackenzie Bart (Second Runner-Up in the 2007 Miss Central Pennsylvania's Outstanding Teen Pageant and Third Runner-Up in the 2006 Miss Central Pennsylvania's Outstanding Teen Pageant) competed for the title of Miss Ohio, in Georgia, Miss Cherokee Rose Kristy Miller (a contestant in the 2010 Miss Central Pennsylvania Pageant) competed for the title of Miss Georgia and in Colorado Miss Broadmoor Crystal Chilcott (a contestant in the 2008 Miss Central Pennsylvania's Outstanding Teen Pageant) finished in the Top Sixteen while competing for the title of Miss Colorado. Also competing in the the 2013 Miss Pennsylvania's Outstanding Teen Pageant were Miss Golden Triangle's Outstanding Teen Victoria Deluehery ( First Runner-Up in the 2013 Miss Central Pennsylvania's Outstanding Teen Pageant and a contestant in the 2011 and 2012 Pageants), Miss Laurel Highlands' Outstanding Teen Teen Marielle (Shubzda) Roberts McDonald (a contestant in the 2011 Miss Central Pennsylvania's Outstanding Teen Pageant) who won the Non-Finalist Talent Award, the Non-Finalist Fitness Award, and the Leadership Award, Miss Luzerne County's Outstanding Teen Katie Schreckengast (Miss Central Pennsylvania's Outstanding Teen 2010 and Miss Greater Juniata Valley's Outstanding Teen 2011 and winner of the Teen Spirit Award) who was selected Miss Pennsylvania's Outstanding Teen and won the Interview Award and the CMN Award, Miss Susquehanna Valley's Outstanding Teen Rebecca Zaneski (a contesant in the 2011 Miss Central Pennsylvania's Outstanding Teen Pageant) who was named First Runner-Up to Miss Pennsylvania's Outstanding Teen, Miss Butler County's Outstanding Teen Clare Stevenson (First Runner-Up in the 2012 Miss Central Pennsylvania's Outstanding Teen Pageant), Asunta Rossi (People's Choice Award Winner in the 2011 Miss Central Pennsylvania's Outstanding Teen Pageant), Miss Lehigh Area's Outstanding Teen Juliana Wardle (Miss Greater Juniata Valley's Outstanding Teen 2012 and First Runner-Up and Talent Award Winner in the Miss Central Pennsylvania's Outstanding Teen Pageant) who finished in the Top Elevent and tied for the Talent Award, Miss Neshaminy Valley's Outstanding Teen Rebecca Colwell (a contestant in the 2011 Miss Central Pennsylvania's Outstanding Teen Pageant) who finished in the Top Eleven and tied for the Smile Award and Miss York County's Outstanding Teen Alli McClune (a contestant in the 2012 Miss Central Pennsylvania's Outstanding Teen Pageant) who finished in the Top Eleven. IN THE 2012 MISS PENNSYLVANIA SCHOLARSHIP PAGEANT, MISS FREEDOM FORGE JORDYN COLAO BECAME THE FIRST MISS CENTRAL PENNSYLVANIA/MISS GREATER JUNIATA VALLEY/MISS FREEDOM FORGE/ MISS TRI-COUNTY CONTESTANT TO BRING HOME THE STATE TITLE WHILE COMPETING WITH OUR LOCAL TITLE. 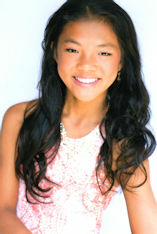 JORDYN WON BY OUTSCORING TWENTY-SEVEN OTHER CONTESTANTS IN THE PAGEANT WHICH WAS HELD ON MAY 26, 2012 IN PITTSBURGH. JORDYN WENT ON TO REPRESENT PENNSYLVANIA AND THE CENTRAL PENNSYLVANIA AREA AT MISS AMERICA IN LAS VEGAS, NV IN JANUARY 2013. Also competing in the 2012 Miss Pennsylvania Pageant were Miss Three Rivers Kristina Miller (a contestant in the 2010 Miss Central Pennsylvania Pageant), Miss Laurel Highlands Erica Bristor (Miss Central Pennsylvania's Outstanding Teen 2008 and winner of the Shannon Lloyd Talent in Dance Award), Miss Riverview Mackenzie Bart (Second Runner-Up in the 2007 Miss Central Pennsylvania's Outstanding Teen Pageant and Third Runner-Up in the 2006 Miss Central Pennsylvania's Outstanding Teen Pageant) who finished in the Top Eleven, Miss Susquehanna Valley Laura Traub (Miss Central Pennsylvania 2011 and winner of the Newcomer Award) who was named winner of the Non-Finalist Interview Award, Miss MidState Cassie Cerulli (Miss Greater Juniata Valley's Outstanding Teen 2010 and winner of the Talent in Dance Award and the Teen Spirit Award) who was named to Top Eleven and was a preliminary talent award winner, Miss Greater Delaware Valley Kristy Weber (a contestant in the 2010 Miss Central Pennsylvannia Pageant) who was named to Top Eleven, Miss Southeastern Pennsylvania Olivia Correll (a contestant in the 2012 Miss Central Pennsylvania Pageant) who won the Miss Congeniality Award and Miss State Capitol Lauren Johns (Secnd Runner-Up in the 2011 Miss Central Pennsylvania Pageant) who was named Non-Finalist Talent Winner. In Virginia, Miss Apple Blossom (Virginia) Kourtney Ginn (First Runner-Up in the 2010 Miss Central Pennsylvania Pageant) competed and was named to Top Ten. In Ohio, Miss West Central (Ohio) Elissa McCracken (a contestant in the 2008 Miss Central Pennsylvania's Outstanding Teen Pageant) competed and was named Miss Ohio 2012. In New York, Miss Upstate New York Rayna Reid (Miss Greater Juniata Valley 2010) competed for the title of Miss New York. Also competing in the the 2012 Miss Pennsylvania's Outstanding Teen Pageant were Miss MidState's Outstanding Teen Kaitlyn Miller (Second Runner-Up and winner of the Elena LaQuatra Spirit Award in the 2009 Miss Central Pennsylvania's Outstanding Teen Pageant) who was named Miss Pennsylvania's Outstanding Teen and also won the Leadership and Photogenic Awards, Miss Mercer County's Outstanding Teen Marielle (Shubzda) Roberts McDonald (a contestant in the 2011 Miss Central Pennsylvania's Outstanding Teen Pageant), Miss Luzerne County's Outstanding Teen Maria Cinti (Miss Greater Juniata Valley's Outstanding Teen 2009 and winner of the Talent in Dance Award and Miss Central Pennsylvania's Outstanding Teen 2011 and winner of the Talent in Dance Award) who was named Second Runner-Up and winner of the Sponsorship Award, Miss Susquehanna Valley's Outstnding Teen Katie Schreckengast (Miss Central Pennsylvania's Outstanding Teen 2010 and Miss Greater Juniata Valley's Outstanding Teen 2011 and winner of the Teen Spirit Award) who was named Fourth Runner-Up and winner of the Interview and Spirit Awards, Miss Philadelphia's Outstanding Teen Rebecca Zaneski (a contesant in the 2011 Miss Central Pennsylvania's Outstanding Teen Pageant) who won the Smile Award, Miss Greater Reading's Outstanding Teen Victoria Deluhery (a contestant in the 2011 and 2012 Miss Central Pennsylvnia's Outstanding Teen Pageants) who won the Dreamcatcher Award, Miss Greater Delaware Valley's Outstanding Teen Sandra Archer (Miss Freeom Forge 2011 and Second Runner-Up in the 2010 Miss Central Pennsyvania's Outstanding Teen Pageant), Miss State Capitol's Outstanding Teen Samantha Renck (a contestant in the 2011 Miss Central Pennsylvania's Outstanding Teen Pageant) who was named Third Runner-Up and winner of the Miss America's Outstanding Teen "Teens in Training" Scholarship, Miss Light of the Firefly's Outstanding Teen Alli McClune (a contestant in the 2012 Miss Central Pennsylvania's Outstanding Teen Pageant), Miss Southeastern Pennsylvania's Outstanding Teen Katie D'Arcangelo (a contestant in the 2012 Miss Central Pennsylvania's Outstanding Teen Pageant) who won the Non-Finalist Interveiw Award and Miss Keystone's Outstanding Teen Rebecca Colwell (a contestant in the 2010 Miss Central Pennsylvania's Outstanding Teen Pageant). 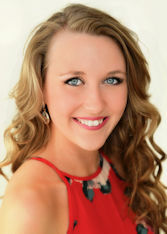 In additon Erica Dewey (Miss Greater Juniata Valley 2004) who is currently serving as Executive Director of the Miss Lake Norman (NC) Scholarship and Outstanding Teen Pageants was the local direcor for Miss North Carolina's Outstanding Teen Alaxandra Badgett. Also competing in the 2011 Miss Pennsylvania Pageant were Miss Allegheny Valley Anna Welsh (Miss Greater Juniata Valley 2008) who was named to Top Eleven, Miss Great Lakes Erica Bristor (Miss Central Pennsylvania's Outstanding Teen 2008 and winner of the Shannon Lloyd Talent in Dance Award), Miss Riverview Kristy Miller (a contestant in the 2010 Miss Central Pennsylvania Pageant) who was named to Top Eleven, Miss White Rose City Amber Alsop (Second Runner-Up in the 2009 Miss Central Pennsylvania Pageant), Miss Susquehanna Valley Jolene Nieves (a contestant in the 2010 Miss Central Pennsylvania Pageant) who was named Non-Finalist Interview Award Winner, Miss MidState Brittany Kuperavage (winner of the Interview Award in the 2010 Miss Central Pennsylvania Pageant), Miss Clarion River Valley Mackenzie Bart (Second Runner-Up in the 2007 Miss Central Pennsylvania's Outstanding Teen Pageant and Third Runner-Up in the 2006 Miss Central Pennsylvania's Outstanding Teen Pageant) who was named the Miss America Community Service Award Winner , Miss Moraine State Ashley Duespohl (a contestant in the 2008 Miss Central Pennsylvania Pageant), Miss Keystone Kristy Weber (a contestant in the 2008 Miss Central Pennsylvania Pageant) who was named to Top Eleven, and Miss Armstrong County Carly Rice (Second Runner-Up in the 2008 Miss Central Pennsylvnia's Outstanding Teen Pageant). In Virginia, Miss Norfolk (Virginia) Rayna Reid (Miss Greater Juniata Valley 2010) and Miss Piedmont Region (Virginia) Kourtney Ginn (First Runner-Up in the 2010 Miss Central Pennsylvania Pageant) will be competing. In Ohio, Miss Lima Square Fair (Ohio) Elissa McCracken (a contestant in the 2008 Miss Central Pennsylvania's Outstanding Teen Pageant) won the Non-Finalsit Talent Award, a Spirit Award and two Essay Awards and in New Jersey Miss Mercer County (New Jersey) Carman Jewel Bloom (a contestant in the 2007 Miss Central Pennsylvania Pageant) competed. Also competing in the the 2011 Miss Pennsylvania's Outstanding Teen Pageant were Miss Greater Reading's Outstanding Teen Kaitlyn Miller (Second Runner-Up and winner of the Elena LaQuatra Spirit Award in the 2009 Miss Central Pennsylvania's Outstanding Teen Pageant) who was named Second Runner-Up, Miss Southeastern Pennsylvania's Outstanding Teen Marielle (Shubzda) Roberts McDonald (a contestant in the 2011 Miss Central Pennsylvania's Outstanding Teen Pageant) who won the Peoples's Choice Award, Miss Luzerne County's Outstanding Teen Becky Lynn Zaneski (a contestant in the 2011 Miss Central Pennsylvania's Outstannding Teen Pageant), Miss White Rose City's Outstanding Teen Rebecca Colwell (a contestant in the 2011 Miss Central Pennsylvania's Outstanding Teen Pageant) and Miss Laurel Highlands' Outstanding Teen Kaitlynne Kline (a contestant in the 2009 Miss Central Pennsylvania's Outstanding Teen Pageant) who was named Miss Pennsylvania's Outstanding Teen 2011. Also competing in the 2010 Miss Pennsylvania Pageant were Miss Moraine State Kristy Miller (a contestant in the 2010 Miss Central Pennsylvania Pageant), Miss Cambria County Ashley Duespohl (a contestant in the 2008 Miss Central Pennsylvania Pageant), Miss Greater Johnstown Brittani DeVore (a contestant in the 2007 Pageant and Non-Finalist Talent Winner in the 2008 Miss Central Pennsylvania Pageant) who achieved Top Eleven Status, Miss Greater Johnstown Elissa McCracken (a contestant in the 2008 Miss Central Pennsylvania's Outstanding Teen Pageant), Miss Southwestern Pennsylvania Carman Jewel Bloom (a contestant in the 2007 Miss Central Pennsylvania Pageant) who was named to Top Eleven, Miss Armstrong County Anna Welsh (Miss Greater Juniata Valley 2008) who was named to Top Eveven and won a Preliminary Talent Award, Miss Meadville Area Meredith Semon (Third Runner-Up in both the 2008 and 2009 Miss Central Pennsylvania Pageants and winner of the Shannon Lloyd Memorial Talent in Dance Award in the 2008 Pageant), Miss Laurelwood Kristy Weber (a contestant in the 2008 Miss Central Pennsylvania Pageant), Miss Clarion River Valley Amber Alsop (Second Runner-Up in the 2009 Miss Central Pennsylvania Pageant), Miss Mountain Laurel Brina Courtney Williams (a contestant in the 2010 Miss Central Pennsylvania Pageant), Miss Greater Delaware Valley Jolene Nieves (a contestant in the 2010 Miss Central Pennsylvania Pageant) who was named to Top Eleven, Miss Lehigh Area Marissa MacIntosh (a contestant in the 2010 Miss Central Pennsylvania Pageant), Miss Jewel of the West Courtney Thomas (First Runner-Up Talent Award Winner, Evening Wear Award Winner and Swimsuit Winner in the 2008 Miss Central Pennsylvania Pageant and Third Runner-Up in the 2008 Pageant) who was named Miss Pennsylvania, Miss Steel Valley Danielle Kaizer (a contestant in the 2010 Miss Central Pennsylvania Pageant) and Miss Pennsylvania Coal Queen Erica Bristor (Miss Central Pennsylvania's Outstanding Teen 2008 and winner of the Shannon Lloyd Talent in Dance Award). In Maryland, Miss Free State (Maryland) Jenna Knopsnyder (First Runner-Up, Interview Winner, Evening Wear Winner and Lifestyle and Fitness in Swimsuit Winner in the 2009 Pageant) participated in the Miss Maryland Pageant. Also competing in the the 2010 Miss Pennsylvania's Outstanding Teen Pageant were Miss Cambria County's Outstanding Teen Maria Cinti (Miss Greater Juniata Valley's Outstanding Teen 2009 and winner of the Shannon Lloyd Talent in Dance Award) who was named Non-Finalist Talent Winner, Miss Moraine State's Outstanding Teen Kaitlynne Kline (a contestant in the 2009 Miss Central Pennsylvania's Outstanding Teen Pageant) who was named Fourth Runner-Up and was the recipient of the Photogenic Award, Miss Southeastern Pennsylvania's Outstanding Teen Sandra Archer (Second Runner-Up in the 2010 Miss Central Pennsylvania's Outstanding Teen Pageant), and Miss York County's Outstanding Teen Kaitlyn Miller (Second Runner-Up and winner of the Elena LaQuatra Spirit Award in the 2009 Miss Central Pennsylvania's Outstanding Teen Pageant) who was named Non-Finalsit Evening Wear Winner and Scholastic Award Winner. 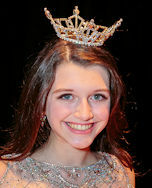 In addition, Melissa Granatire (a contestant in the 2010 Miss Central Pennsylvania's Outstanding Teen Pageant) won the title of Miss Western Pennsylvania's Outstanding Teen but relinquished her title prior to the Miss Pennsylvania's Outstanding Teen Pageant. Also competing in the 2009 Miss Pennsylvania Pageant were Miss Armstrong County Shannon Doyle (Miss Central Pennsylvania 2005, Newcomer Award Winner and Talent in Dance Award Winner) who was named Pennsylvania, Miss Crawford County Britani DeVore (Non-Finalist Talent Winner in the 2008 Miss Central Pennsylvania Pageant), Miss Cambria County Courtney Thomas (First Runner-Up, Talent Award Winner, Swimsuit Award Winner and "Special Evening Wear" Award Winner in the 2008 Miss Central Pennsylvania Pageant and Third Runner-Up in the 2007 Pageant) who was named First Runner-Up in the Miss Pennsylvania Pageant, Miss White Rose City Eka Akpakip (Miss Central Pennsylvania 2008), Miss Susquehanna Valley Carmen Jewel Bloom (a contestant in the 2007 Miss Central Pennsylvania Pageant) who was named to Top Ten in the Miss Pennsylvania Pageant, Miss MidState Anna Welsh (Miss Greater Juniata Valley 2008), Miss State Capitol Meredith Semon (Third Runner-Up in both the 2008 and 2009 Miss Central Pennsylvania Pageants and winner of the Shannon Lloyd Memorial Talent in Dance Award in the 2008 Pageant), Miss Butler County Kristy Weber (a contestant in the 2008 Miss Central Pennsylvania Pageant), Miss Moraine State Amber Alsop (Second Runner-Up in the 2009 Miss Central Pennsylvania Pageant), Miss Mercer County Ashley Duespohl (Second Runner-Up in the 2008 Miss Central Pennsylvania Pageant) Miss Richland Area Calsie Boyd (Miss Central Pennsylvania's Outstanding Teen 2006) who was named Non-Finalist Talent Winner in the Miss Pennsylvania Pageant and Miss Greater Johnstown Elissa McCracken (a contestant in the 2008 Miss Central Pennsylvania's Outstanding Teen Pageant) who was named Non-Finalist Interview Winner in the Miss Pennsylvania Pageant. In Nevada, Miss Northern Counties Christina Keegan (Non-Finalist Interview Award Winner in the 2007 Miss Central Pennsylvania Pageant) was crowned Miss Nevada 2009 and competed in the Miss America Pageant in Las Vegas in January 2010.In addition Miss Southeast New York Melanie Hildebrant (Second Runner-Up in the 2007 Miss Central Pennsylvania Pageant, Third Runner-Up in the 2006 Pageant and First Runner-Up in the 2004 Pageant) competed in the Miss New York Pageant where she was named to Top Ten, Randi Levendusky (a contestant in the 2005 Miss Central Pennsylvania Pageant) competed in the Miss District of Columbia Pageant where she was named Second Runner-Up and Miss Urbana (Maryland) Jenna Knopsnyder (First Runner-Up, Interview Winner, Evening Wear Winner and Lifestyle and Fitness in Swimsuit Winner in the 2009 Miss Central Pennsylvania Pageant) participated in the Miss Maryland Pageant but was forced by illness to withdraw from the pageant during Miss Maryland Pageant Week. IN THE 2009 MISS PENNSYLVANIA'S OUTSTANDING TEEN PAGEANT, MISS CENTRAL PENNSYLVANIA'S OUTSTANDING TEEN JILL WILEY BECAME THE SECOND MISS CENTRAL PENNSYLVANIA/MISS GREATER JUNIATA VALLEY/MISS TRI-COUNTY CONTESTANT TO BRING HOME THE STATE TITLE WHILE COMPETING WITH OUR LOCAL TITLE. 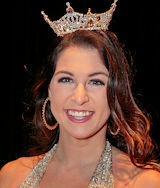 JILL WON BY OUTSCORING EIGHTEEN OTHER CONTESTANTS IN THE PAGEANT WHICH WAS HELD DURING MISS PENNSYLVANIA PAGEANT WEEK. JILL WENT ON TO REPRESENT PENNSYLVANIA AND THE CENTRAL PENNSYLVANIA AREA IN MISS AMERICA'S OUTSTANDING TEEN PAGEANT IN ORLANDO, FLORIDA IN AUGUST 2009. Also competing in the the 2009 Miss Pennsylvania's Outstanding Teen Pageant were Miss Greater Johnstown's Outstanding Teen Erica Bristor (Miss Central Pennsylvania's Outstanding Teen 2008 and winner of the Shannon Lloyd Talent in Dance Award) who was named First Runner-Up in the Miss Pennsylvania's Outstanding Teen, Miss Cambria County's Outstanding Teen Kaitlynne Kline (a contestant in the 2009 Miss Central Pennsylvania's Outstanding Teen Pageant) who was named Fourth Runner-Up in the Miss Pennsylvania's Outstanding Teen Pageant, Miss State Capitol's Outstanding Teen Kaitlyn Miller (Second Runner-Up and winner of the Elena LaQuatra Spirit Award in the 2009 Miss Central Pennsylvania's Outstanding Teen Pageant) who was named Third Runner-Up in the Miss Pennsylvania's Outstanding Teen Pageant, Miss Mercer County's Outstanding Teen Hannah Timm (Miss Greater Juniata Valley's Outstanding Teen 2008) who was named Non-Finalist Talent Winner in the Miss Pennsylvania's Outstanding Teen Pageant and Miss Moraine State's Outstanding Teen Mackenzie Bart (Second Runner-Up in the 2007 Miss Central Pennsylvania's Outstanding Teen Pageant) who was named Second Runner-Up in the Miss Pennsylvania's Outstanding Teen Pageant. Also competing in the 2008 Miss Pennsylvania Pageant were Miss Southwestern Pennsylvania Shannon Doyle (Miss Central Pennsylvania 2005, Newcomer Award Winner and Talent in Dance Award Winner) who finished as First Runner-Up to Miss Pennsylvania, Miss Golden Triangle Brittny Sparrow (Miss Central Pennsylvania 2006) who finished as Fourth Runner-Up to Miss Pennsylvania, Miss MidState Rachel Henry (Miss Greater Juniata Valley 2007, winner of the Jacqui Yanoshik Interview Award and Non-Finalist Interview Award in the 2006 Miss Central Pennsylvania Pageant and a contestant in the 2003 Pageant) who was named a Top Ten Finalist at Miss Pennsylvania, Miss Moraine State Courtney Thomas (First Runner-Up, Talent Award Winner, Swimsuit Award Winner and "Special Evening Wear" Award Winner in the 2008 Miss Central Pennsylvania Pageant and Third Runner-Up in the 2007 Pageant) who was named a Miss Pennsylvania Top Ten Finalist, Miss Susquehanna Valley Sarah Timm (First Runner-Up in the 2007 Miss Central Pennsylvania Pageant and winner of the Talent and Interview Awards) who was named a Miss Pennsylvania Top Ten Finalist, Miss York County Randi Levendusky (a contestant in the 2005 Miss Central Pennsylvania Pageant) who was Third Runner-Up to Miss Pennsylvania, Miss Greater Johnstown Carman Jewel Bloom (a contestant in the 2007 Miss Central Pennsylvania Pageant), Miss Lehigh Area Amy Anderson (First Runner-Up in the 2005 Miss Central Pennsylvania Pageant and winner of the Shannon Lloyd Talent in Dance Award, the Non-Finalist Talent Award and the Encouragement Award in the 2003 Pageant) who was named a Miss Pennsylvania Top Ten Finalist, Miss Northwest Ashley Duespohl (Second Runner-Up in the 2008 Miss Central Pennsylvania Pageant) and Miss Three Rivers Jessica Megliss (a contestant in the 2004 Miss Central Pennsylvania Pageant) who was named Third Runner-Up to Miss Pennsylvania. In Virginia, Miss Arlington Tara Wheeler (Second Runner-up in the 2005 Miss Central Pennsylvania Pageant and a contestant in the 2004 pageant) was crowned Miss Virginia 2008 and will compete in the Miss America Pageant in Las Vegas in January 2009. In addition, Miss Manhattan (New York) Melanie Hildebrant (Second Runner-Up in the 2007 Miss Central Pennsylvania Pageant, Third Runner-Up in the 2006 Pageant and First Runner-Up in the 2004 Pageant) competed in the Miss New York Pageant in which she was named a Top Ten Finalist, Interview Winner and Miss America Academic Award Winner; and Miss Carson City (Nevada) Christina Keegan (winner of the Jacqui Yanoshik Non-Finalist Interview Award in the 2007 Miss Central Pennsylvania Pageant) competed in the Miss Nevada Pageant where she was named First Runner-Up to Miss Nevada. Also winning a local title was Ashley Daubert (a contestant in the 2007 Miss Central Pennsylvania Pageant) who won the title of Miss Greater Berks County in November of 2007 and resigned her title in May of 2008 prior to the Miss Pennsylvania Pageant. Also competing in the the 2008 Miss Pennsylvania's Outstanding Teen Pageant were Miss Moraine State's Outstanding Teen Eissa McCraken (a contestant in the 2008 Miss Central Pennsylvania Outstanding Teen Pageant), Miss Pymatuning's Outstanding Teen Carly Rice (Second Runner-Up in the 2008 Miss Central Pennsylvania's Outstanding Teen Pageant), Miss Northwest's Outstanding Teen Calsie Boyd (Miss Central Pennsylvania's Outstanding Teen 2006) who was named First Runner-Up to Miss Pennsylvania's Outstanding Teen and Miss York County's Outstanding Teen Jill Wiley (Second Runner-Up and Talent Award Winner in the 2007 Miss Central Pennsylvania's Outstanding Teen Pageant) who was named Fourth Runner-Up to Miss Pennsylvania's Outstanding Teen. Also competing in the Miss Pennsylvania Pageant were Miss Cambria County Brittny Sparrow (Miss Central Pennsylvania 2006) who finished as Fourth Runner-Up to Miss Pennsylvania, Miss Armstrong County Shannon Doyle (Miss Central Pennsylvania 2005) who finished as First Runner-Up to Miss Pennsylvania and won both the Miss America and Miss Pennsylvania Community Service Awards, Miss Moraine State Sarah Timm (First Runner-Up in the 2007 Miss Central Pennsylvania Pageant) who won the "Most Talented Non-Finalist Award at Miss Pennsylvania , Miss Susquehanna Valley Melanie Hildebrant (Second Runner-Up in the 2007 Miss Central Pennsylvania Pageant, Third Runner-Up in the 2006 pageant and First Runner-Up in the 2004 pageant), Carman Jewel Bloom (a contestant in the 2007 Miss Central Pennsylvania Pageant) who won the Interview and Non-Finalist Interview Awards at Miss Pennsylvania, Miss Greater Berks County Christina Keegan (a contestant in the 2007 Miss Central Pennsylvania Pageant, Miss Franklin County Amy Swonger (a contestant in the 2007 Miss Central Pennsylvania Pageant), Miss Golden Triangle Jessica Megliss (a contestant in the 2004 Miss Central Pennsylvania Pageant) who was named to Top Ten at Miss Pennsylvania and Miss MidState Courtney Thomas (Third Runner-Up in the 2007 Miss Central Pennsylvania Pageant). In addition, Miss Blue Ridge Mountains Festival (VA) Tara Wheeler (Second runner-up in the 2005 Miss Central Pennsylvania Pageant and a contestant in the 2004 pageant) competed in the Miss Virginia Pageant where she was named to the Miss Virginia Top Ten and Miss Gateway (NJ) Heather Rose Miller (a contestant in the 2004, 2005 and 2006 Miss Central Pennsylvania Pageants) competed in the Miss New Jersey Pageant. Following the Miss America Pageant, in January 2007, Miss Oklahoma First Runner-Up Lindsey Miller (a contestant in the 2005 Miss Central Pennsylvania Pageant) was named Miss Oklahoma when Miss Oklahoma Lauren Nelson was named Miss America. IN THE 2007 MISS PENNSYLVANIA'S OUTSTANDING TEEN PAGEANT, MISS CENTRAL PENNSYLVANIA'S OUTSTANDING TEEN ELENA LAQUATRA BECAME THE FIRST MISS CENTRAL PENNSYLVANIA/MISS GREATER JUNIATA VALLEY/MISS TRI-COUNTY CONTESTANT TO BRING HOME THE STATE TITLE WHILE COMPETING WITH OUR LOCAL TITLE. 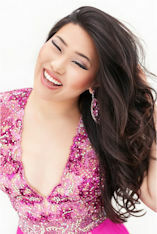 ELENA WON BY OUTSCORING NINETEEN OTHER CONTESTANTS IN THE PAGEANT WHICH WAS HELD DURING MISS PENNSYLVANIA PAGEANT WEEK. ELENA WENT ON TO REPRESENT PENNSYLVANIA AND THE CENTRAL PENNSYLVANIA AREA IN MISS AMERICA'S OUTSTANDING TEEN PAGEANT IN ORLANDO, FLORIDA IN AUGUST 2007. THERE SHE WAS A PRELIMINARY EVENING WEAR WINNER AND FINISHED AS SECOND RUNNER-UP TO MISS AMERICA'S OUTSTANDING TEEN. Also competing in the the 2007 Miss Pennsylvania's Outstanding Teen Pageant were Miss Cambria County's Outstanding Teen Calsie Boyd (Miss Central Pennsylvania's Outstanding Teen 2006) who was named First Runner-Up to Elena, Miss Greater Johnstown's Outstanding Teen Mackenzie Bart (Second Runner-Up in the 2007 Miss Central Pennsylvania's Outstanding Teen Pageant and Third Runner-Up in the 2006 Miss Central Pennsylvania's Outstanding Teen Pageant) and Miss MidState's Outstanding Teen Jill Wiley (Second Runner-Up and Talent Award Winner in the 2007 Miss Central Pennsylvania's Outstanding Teen Pageant). In addition, Catherine Janisko competed using the title of Miss Greater Juniata Valley's Outstanding Teen with the hope that next year the Miss Central Pennsylvania's Outstanding Teen Pageant would have enough contestants to award two titles, Miss Central Pennsylvania's Outstanding Teen and Miss Greater Juniata Valley's Outstanding Teen. Also competing in the Miss Pennsylvania Pageant were Miss Three Rivers Shannon Doyle (Miss Central Pennsylvania 2005) who finished as Thrd Runner-Up to Miss Pennsylvania, Miss Philadelphia Mary Kaye Jacono (Miss Greater Juniata Valley 2005) who was named a Top Ten Finalist in the Pageant, Miss Allegheny Valley Linsey Leska (Miss Central Pennsylvania 2003) who was named a Top Ten Finalist in the Pageant, Miss Nittany Valley Melanie Hildebrant (Third Runner-Up in the 2006 Miss Central Pennsylvania Pageant and First Runner-Up in the 2004 pageant, Miss Golden Triangle Tara Wheeler (Second runner-up in the 2005 Miss Central Pennsylvania Pageant and a contestant in the 2004 pageant), Miss Cumberland Valley Rachel Henry (winner of the non-finalist interview and non-finalist talent awards in the 2006 Miss Central Pennsylvania Pageant, winner of the Interview and Non-Finalist Interview Awards in the 2004 Miss Central Pageant and a contestant in the 2003 Miss Central Pennsylvania Pageant), Miss Steel Valley Lauren Zumpino (Second Runner-Up in the 2006 Miss Central Pennsylvania Pageant and a contestant in the 2004 pageant) and Miss Cambria County Jessica Megliss (a contestant in the 2004 Miss Central Pennsylvania Pageant) who was named Thursday Preliminary Talent Winner and a Top Ten Finalist in the Pageant. In addition, Miss Central Coast (NJ) Heather Rose Miller (a contestant in the 2004, 2005 and 2006 Miss Central Pennsylvania Pageants) competed in the Miss New Jersey Pageant and Miss Grand Lake (OK) Lindsey Miller (a contestant in the 2005 Miss Central Pennsylvania Pageant) competed in the Miss Oklahoma Pageant where she was named First Runner-Up. In March of 2006 the first Miss Central Pennsylvania's Outstanding Teen Pageant was held in Burnham, PA. The pageant which was held in conjunction with the Miss MidState Scholarship Organization located in Harrisburg crowned two winners. They were Miss Central Pennsylvania's Outstanding Teen Calsie Marie Boyd and Miss MidState's Outstanding Teen Elena Flora LaQuatra. Both winners continued their successes at the Miss Pennsylvania's Outstanding Teen Pageant where Elena was named First Runner-Up and Calsie was selected as the Fourth Runner-Up. Based on the first year success of the pageant, both the Miss Central Pennsylvania Organization and the Miss MidState Organization decided to hold 2007 "Teen" Pageants in conjunction with their 2007 "Miss" Pageants. Performers - Nicole Marie Brewer, Erica Dewey, Kyle Metzger and the Miss Central Pennsylvania Princesses and the Indian Valley "Hands That Sing"
Also competing in the Miss Pennsylvania Pageant were Miss Allegheny Valley Nicole Brewer (Miss Central Pennsylvania 2004) who went on to win the title of Miss Pennsylvania and the right to represent Pennsylvania in the Miss America Pageant in January and who also won a preliminary swimsuit award, Miss Three Rivers Linsey Leska (Miss Central Pennsylvania 2003) who achieved Top Ten status and was named a preliminary swimsuit award winner, Miss Moraine State Darcie Faye Bell (Miss Greater Juniata Valley 2003), Miss Steel Valley Melanie Jo Smartnick (Non-Finalist Talent Winner in the 2005 Miss Central Pennsylvania Pageant, Shannon Lloyd Memorial Talent in Dance Award Winner and the Non-Finalist Talent Award Winner in the 2004 Miss Central Pennsylvania Pageant and 2nd Runner Up, Lifestye and Fitness in Swimsuit Award Winner and Shannon Lloyd Memorial Artistic Expression in Dance Award Winner in the 2003 Miss Central Pennsylvania Pageant), Miss York County Rachel Elaine Henry (winner of both the "Jacqui Yanoshik Memorial Scholarship Interview Award" and the "Non-Finalist Interview Award" in the 2004 Miss Central Pennsylvania Pageant and a contestant in the 2003 Miss Central Pennsylvania Pageant), Miss North East Amy Anderson (First runner-up in the 2005 Miss Central Pennsylvania Pageant and winner of the "Shannon Lloyd Memorial Scholarship for Talent in Dance", the "Non-Finalist Talent Award" and the "Encouragement Award" in the 2003 Miss Central Pennsylvania Pageant), Miss Cumberland Valley Randi Levendusky (a contestant in the 2005 Miss Central Pennsylvania Pageant) who was named fourth runner-up to Miss Pennsylvania, Miss Jewel of the West Lauren Zumpino (a contestant in the 2004 Miss Central Pennsylvania Pageant) and Miss Pittsburgh Jessica Megliss (a contestant in the 2004 Miss Central Pennsylvania Pageant) who was named the non-finalist talent award winner. In addition, Miss Burtonsville Michelle Orey (a contestant in the 2005 Miss Central Pennsylvania Scholarship Pageant) and Miss Tidewater Jennifer Witowski (a contestant in the 2001 Miss Central Pennsylvania Pageant) competed in the Miss Maryland Pageant. Michelle was named a Maryland Top Ten Semi-Finalist and the winner of the Community Service Award and Jennifer won both a preliminary Swimsuit Award and the Non-Finalist Interview Award. Also Miss Blue Ridge Mountains Festival Melinda Hill (a contestant in the 2001 and 2002 Miss Central Pennsylvania Pageants) competed in the Miss Virginia Pageant. Also competing in 2005 state pageants were Dana Maliniak (First Runner-Up and Interview Award Winner in the 2001 Miss Central Pennsylvania Pageant), a contestant in the Miss Rhode Island Pageant and Lindsey Miller (a contestant in the 2005 Miss Central Pennsylvania Pageant), a contestant in the Miss Oklahoma Pageant where she was named 2nd Runner-Up and winner of the preliminary "Rookie Talent Award." Performers - Darcie Faye Bell, Misty Clymer, Linsey Leska, Kyle Metzger, the Miss Central Pennsylvania Princesses and the Indian Valley Middle School "Hands That Sing"
Judges - Andrew Brett, James R. Caltagrione, Jodi Cessna, Bonnie Harbst, Babe Napolitano, Steve Newport and Michelle Saad-Barnes, O.D. Also competing in the Miss Pennsylvania Pageant were Miss Steel Valley Linsey Leska who was Miss Central Pennsylvania 2003, Miss Butler County Sheena Hollinger who was second runner-up in the 2004 Miss Central Pennsylvania Pageant, Miss Cumberland Valley Rachel Elaine Henry who was the winner of both the "Jacqui Yanoshik Memorial Scholarship Interview Award" and the "Non-Finalist Interview Award" in the 2004 Miss Central Pennsylvania Pageant and a contestant in the 2003 Miss Central Pennsylvania Pageant, Miss Jewel of the West Makini Young who was a contestant in the 2004 Miss Central Pennsylvania Pageant and First Runner-Up and winner of the "Jacqui Yanoshik Memorial Scholarship Interview Award" in the 2002 Miss Central Pennsylvania Pageant, Miss Moraine State Jessica Megliss who was a contestant in the 2004 Miss Central Pennsylvania Pageant and Miss White Rose City Amy Anderson who was the winner of the Shannon Lloyd Memorial Artistic Expression in Dance Award in the 2003 Miss Central Pennsylvania Pageant. Several former Miss Central Pennsylvania Pageant titleholders and competitors participated in other state pageants. Miss New Jersey contestants included Miss Monmouth County Libby Montiel (Miss Central Pennsylvania 2002) who was a Top Ten Finalist. Participating in the Miss Maryland Pageant was Miss Western Maryland Tiffany Hawbaker (Miss Greater Juniata Valley 2002, "Non-Finalist Talent" and "Encouragement Award" winner in the 2000 Miss Central Pennsylvania Pageant and a contestant in the 1999 Miss Central Pennsylvania Pageant) where she was named a Top Ten Finalist and Miss Southern Maryland Jennifer Witowski (a contestant in the 2001 Miss Central Pennsylvania Pageant). At the Miss Alabama Pageant, Miss Greater Dothan Heather Gross (winner of the "Non-Finalist Interview Award" in the 2000 Miss Central Pennsylvania Pageant) competed. Taking part in the Miss Virginia Pageant was Miss Denbigh Days Melinda Hill (a contestant in the 2001 and 2002 Miss Central Pennsylvania Pageants). Additionally, two former Miss Tri-Couny/Miss Central Pennsylvania/Miss Greater Juniata titleholders competed in national or international Mrs. Pageants. They included Kirsitn Border Snow (Miss Tri-County 1992) who won the title of Mrs Pennsylvania United States and competed in the Mrs United States Pageant in Las Vegas, Nevada in August where she was named third runner-up and Allison Mattner Hirshmann (Miss Greater Juniata Vallley 2000) who won the title of Mrs. Pennsylvania International and competed in Mrs. International Pageant in Skokie, Illinois in July. John R. Metzger, Executive Director of the Miss Central Pennsylvania Pageant, was awarded the 2004 "ABCD" (Above and Beyond the Call of Duty Award) at the Miss Pennsylvania Pageant. Libby Montiel and Tiffany Hawbaker each achieved "Top Ten Finalist" status in their state pageants. 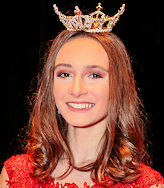 Libby was also named a double preliminary winner at the Miss New Jersey Pageant, winning both Preliminary Evening Wear and Preliminary Swimsuit. Contestants - Amy Elizabeth Anderson, Dana J. Anderson, Darcie Faye Bell, Kristen Buben, Aimee Elizabeth Cassel, Heather Rose Chapman, Heather Chernich, Lena Galicki, Rachel Henry, Alison Kemerer, Irwin, Laura Celeste King, Linsey Leska, Linda H. Luong, MiaLisa Erin McFarland, Erin Kelly Pearce, Beth Peters, Jana D. Sandel and J.S. Alison Irwin resigned her title as Miss Greater Juniata Valley 2003 on July 3, 2003 in order to compete in the CBS television show "Big Brother 4." On that date Darcie Faye Bell was offered and accepted the Miss Greater Juniata Valley title. Darcie represented us in the Miss Pennsylvania Pageant and continued to make appearances as Miss Greater Juniata Valley 2003 until she gives up the title in February 2004. Also competing in the Miss Pennsylvania Pageant were Miss Lehigh Area - Dana Anderson, Miss Moraine State - Linda Luong (Miss Pennsylvania Non-Finalist Interview Winner), Miss Jewel of the West - Amy Anderson (Miss Pennsylvania Professional Edge Award Presented by Lynn Grote Tully to the Highest Scoring Contestant in the Field of Communication or Journalism) , Miss Steel Valley - Makini Young (Miss Pennsylvania Top Ten), Miss Greater Cranberry - Melanie Jo Smartnick and Miss Mid-State - Dana Maliniak (Miss Pennsylvania Top 10). Dana Anderson was First Runner-Up in the 2003 Miss Central Pennsylvania Pageant, Linda was Second Runner-Up in the 2003 Miss Central Pennsylvania Pageant, Amy was winner of the "Shannon Lloyd Memorial Artistic Expression in Dance Award," the "Non-Finalist Artistic Expression in Talent" and the "Encouragement Award" in the 2003 Miss Central Pennsylvania Pageant, Makini was First Runner-Up and winner of the "Jacqui Yanoshik Memorial Presentation and Community Achievement in Interview Award" in the 2002 Miss Central Pennsylvania Pageant, Melanie Jo was Second Runner-Up and winner of the "Lifestyle and Fitness in Swimsuit Award" and "Shannon Lloyd Memorial Artistic Expression in Dance Award" in the 2002 Miss Central Pennsylvania Pageant and Dana Maliniak was First Runner-Up and winner of the "Jacqui Yanoshik Memorial Interview Award" in the 2001 Miss Central Pennsylvania Pageant. In addition, Miss Ramapo Valley - Libby Montiel (Miss Central Pennsylvania 2002 and winner of the 2002 "Presence and Poise in Evening Wear Award") competed in the Miss New Jersey Pageant. Also Miss Potamac - Tiffany Hawbaker (Miss Greater Juniata Valley 2002, "Non-Finalist Talent" and "Encouragement Award" winner in the 2000 Miss Central Pennsylvania Pageant and a contestant in the 1999 Miss Central Pennsylvania Pageant), Miss Rocky Gap - Denise Yarbough (a contestant in the 1998, 2000 and 2002 Miss Central Pennsylvania Pageants and winner of the "Non-Finalist Talent Award" in 1998) and Miss Susquehanna - Jennifer Witowski (a contestant in the 2001 Miss Central Pennsylvania Pageant) competed in the Miss Maryland Pageant where Denise was the recipient of one of the two "Most Talented Non-Finalist Awards." Jessica Watson Grier (Miss Central Pennsylvania 2001, second runner-up in the 2000 pageant and a contestant in the 1999 Miss Central Pennsylvania Pageant), a student at Palm Beach Atlantic University Graduate School was the recipient of the Albert J. Marks Scholarship for Teacher Education in the amount of $2000 which was given through the Miss America Organization. Also competing in the Miss Pennsylvania Pageant were Miss Jewel of the West - Makini Young, First Runner-Up and "Jacqui Yanoshik Memorial Presentation and Community Achievement in Interview Award Winner" in the 2002 Miss Central Pennsylvania Pageant, Miss Keystone - Melanie Jo Smartnick, Second Runner-Up and winner of the "Lifestyle and Fitness in Swimsuit Award" and "Shannon Lloyd Memorial Artistic Expression in Dance Award" in the 2002 Miss Central Pennsylvania Pageant, Miss White Rose - Jessica Watson (Miss Central Pennsylvania 2001), Miss Miss Allegheny Valley - Nikesha Moore (Miss Central Pennsylvania 2000) and Dana Maliniak, first runner-up and winner of the Interview Award in the 2001 Miss Central Pennsylvania Pageant. Makini Young was the winner of the Non-Finalist Presentation and Community Achievement in Interview Award and Nikesha Moore was a Top Ten Semi-Finalist, Preliminary Artistic Expression in Talent Award Winner and Preliminary Lifestyle and Fitness in Swimsuit Award Winner at the Miss Pennsylvania Pageant. Makini Young was mentored in her preparations for the Miss Pennsylvania Pageant by Rosalyn Metzger, a member of the Miss Central Pennsylvania Pageant Committee. In addition, Miss Western Piedmont - Misty Dawn Clymer (Miss Central Pennsylvania 1998) competed in the Miss North Carolina Pageant where she was honored as First Runner-Up and as a Preliminary Artistic Expression in Talent Award Winner. When the winner of the pageant resigned her title in late July, Misty was named Miss North Carolina and competed for the title of Miss America in September where she was named to the "Top Fifteen." Also Miss Northern Chesapeake - Heather Gross (winner of the "Non-Finalist Interview Award" in the 2000 Miss Central Pennsylvania Pageant) competed in the Miss Maryland Pageant where she won both the Non-Finalist Presentation and Community Achievement in Interview Award and the Non-Finalist Artistic Expression in Talent Award. Amy Wills, winner of the Non-Finalist Interview Award in the 2001 Miss Central Pennsylvania Pageant was a contestant in the Miss District of Columbia Pageant. Also competing in the Miss Pennsylvania Pageant were Miss Moraine State - Nikesha Moore (Miss Central Pennsylvania 2000), Miss York County - Allison Mattner (Miss Greater Juniata Valley 2000), Miss Freedom Forge - Dana Maliniak (First Runner-Up and winner of the Interview Award in the 2001 Miss Central Pennsylvania Pageant), Miss Nittany Valley - Kelly Gamble (winner of the Most Talented Non-Finalist Award in the 2001 Miss Central Pennsylvania Pageant and First Runner-Up in the 2000 Miss Central Pennsylvania Pageant) and Tiffany Ann Hawbaker (the winner of the Special Encouragement Award in the 2000 Miss Central Pennsylvania Pageant and a contestant in the 1999 Miss Central Pennsylvania Pageant). Allison and Nikesha were both named to Miss Pennsylvania Top Ten and Allison was the recipient of the second place award in Lehigh Valley Mall Community Service Awards. Dana Maliniak was mentored by Rosalyn Metzger and Kelly Gamble was mentored by Lisa Metzger. Both Rosalyn and Lisa are members of the Miss Central Pennsylvania Pageant Committee. Dana later helped the Miss Central Pennsylvania Organization by doing a parade and performance at East Waterford for their annual Fourth of July Homecoming festivities and a judging and performing at the Little Miss Reedsville Pageant at Reedsville Community Days. In addition, Miss Pinelands - Marci DeGol (Miss Central Pennsylvania 1999) competeted in the Miss New Jersey Pageant and Miss Raleigh - Misty Dawn Clymer (Miss Central Pennsylvania 1998) competed in the Miss North Carolina Pageant. Misty was the winner of a Miss North Carolina Community Service Award. Also Miss Salisbury - Nichole Alston (winner of the "Special" Evening Wear Award in the 2000 Miss Central Pennsylvania Pageant) and Miss Washington County - Heather Gross (winner of the Non-Finalist Interview Award in the 2000 Miss Central Pennsylvania Pageant) competed in the Miss Maryland Pageant. 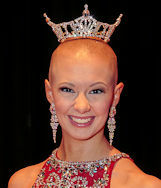 Heather was the recipient of the Miss Maryland Non-Finalist Interview Award. Miss Greater Juniata Valley Nikesha Moore became the second Miss Central Pennsylvania in a row to achieve "Top Five" status at the Miss Pennsylvania Pageant. Also participating in the Miss Pennsylvania Pageant were Miss Southwestern Pennsylvania - Marci DeGol (Miss Central Pennsylvania 1999) who was named to "Top Ten," Miss Penn State - Misty Dawn Clymer (Miss Central Pennsylvania 1998) who was named second runner-up to Miss Pennsylvania and was the recipient of the "Dental Pride Award," Miss Moraine State - Christina Jean Mellott (swimsuit award winner in the 2000 Miss Central Pennsylvania Pageant, evening wear award winner in the 1999 Miss Central Pennsylvania Pageant and a contestant in the 1998 and 1997 Miss Central Pennsylvania Pageants), Miss Steel Valley - Kelly Gamble (first runner-up in the 2000 Miss Central Pennsylvania Pageant) who was named to "Top Ten" and Miss Nittany Valley - Jessica Watson (second runner-up in the 2000 Miss Central Pennsylvania Pageant and a contestant in the 1999 Miss Central Pennsylvania Pageant) who received the Miss America Community Service Scholarship. Miss Nittany Valley Jessica Watson was mentored at the Miss Pennsylvania Pageant by Lisa Metzger, a member of the Miss Central Pennsylvania Scholarship Organization Committee. Jessica later helped the Miss Central Pennsylvania Organization by doing a parade and performance at East Waterford for their annual Fourth of July Homecoming festivities. Miss Central Pennsylvania Marci DeGol became the first Miss Central Pennsylvania, Miss Greater Juniata Valley or Miss Tri-County to achieve Top Five status at the Miss Pennsylvania Pageant as she became the first runner-up to Miss Pennsylvania. Marci later went on to represent Pennsylvania in the National Sweethearts Pageant in Hoopston, Illinois. Also participating in the Miss Pennsylvania Pageant were Miss Montgomery County - Misty Dawn Clymer (Miss Central Pennsylvania 1998), Miss Cumberland Valley - Allison Mattner (a contestant in the 1999 Miss Central Pennsylvania Pageant) and Miss Jewel of the West - Nikesha Moore (3rd runner-up to Miss Central Pennsylvania 1997 and a contestant in the 1998 pageant). Misty was Miss Pennsylvania Top Ten and won a preliminary swimsuit award. In addition, Miss Charleston - Alissa Herrold (Miss Central Pennsylvania 1997) participated in the Miss South Carolina Pageant where she was the recipient of the $1000 Academic Scholarship Award. Kristen Matteson (4th runner up to Miss Central Pennsylvania 1994 and a contestant in the 1995 Miss Central Pennsylvania Pageant) was the recipient of the top Allman Medical Scholarship Award of $25000 which was given through the Miss America Organization. For the first time the Miss Central Pennsylvania Pageant awarded two titles, Miss Central Pennsylvania and Miss Greater Juniata Valley. Also participating in the Miss Pennsylvania Pageant were Miss Cumberland Valley - Alissa Herrold (Miss Central Pennsylvania 1997), Miss Southwestern Pennsylvania - Mayra Acosta (non-finalist talent winner in the 1997 Miss Central Pennsylvania Pageant and a contestant in the 1994 Miss Central Pennsylvania Pageant) and Miss Jewel of the West, Christine Wolfe (2nd runner-up to Miss Central Pennsylvania 1997 and non-finalist talent winner in the 1995 Miss Central Pennsylvania Pageant). Christine was Miss Pennsylvania Top Ten. Alissa was Miss Pennsylvania Top Ten and the winner of the Miss America Scholarship Award. Mayra was a preliminary night swimsuit winner, winner of the "Healthy Smile Award," and became Lewistown's first Miss Pennsylvania. One of the judges in the Miss Pennsylvania Pageant was Autumn Marie Gemberling, a contestant in the 1981 Miss Tri-County Pageant. For the second year in a row Kristen Matteson (4th runner up to Miss Central Pennsylvania 1994 and a contestant in the 1995 Miss Central Pennsylvania Pageant) was the recipient of a $5000 Allman Medical Scholarship awarded through the Miss America Organization. Also participating in the Miss Pennsylvania Pageant were Miss Greater Lehigh Valley - Julianne Hetrick (Miss Central Pennsylvania 1996), Miss Northeastern Pennsylvania - Christine Wolfe (2nd runner up to Miss Central Pennsylvania 1997 and non-finalist talent winner in the 1995 Miss Central Pennsylvania Pageant), Miss Allegheny Valley - Mayra Acosta (non-finalist talent winner in the 1997 Miss Central Pennsylvania Pageant and a contestant in the 1994 Miss Central Pennsylvania Pageant) and Miss Mountain Laurel - Amy Akers (1st Runner Up to Miss Central Pennsylvania 1996). Amy was named 1st runner-up to Miss Pennsylvania and Christine and Mayra were both Miss Pennsylvania Top Ten. In addition Miss Somerset (NJ) County - Jenna Caldwell (4th runner up to Miss Central Pennsylvania 1997 and non-finalist talent winner in the 1996 Miss Central Pennsylvania Pageant) competed in the Miss New Jersey Pageant. Another contestants in the 1997 Miss Central Pennsylvania Pageant was Misty Dawn Clymer, Miss Central Pennsylvania 1998. In news from Atlantic City, Kristen Matteson (4th runner up to Miss Central Pennsylvania 1994 and a contestant in the 1995 Miss Central Pennsylvania Pageant) - a medical student at Tufts School of Medicine - was the recipient of a $5000 Allman Medical Scholarship awarded through the Miss America Organization. Also participating in the Miss Pennsylvania Pageant were Miss Southwestern Pennsylvania - Julie Malone (Miss Central Pennsylvania 1995) and Miss York County - Jennifer Steward (a runner up to Miss Central Pennsylvania in 1994, 1995 and 1996) and Miss Armstrong County - GiGi Gordon (a contestant in the 1994 Miss Central Pennsylvania Pageant). GiGi was named Miss Pennsylvania and Jennifer the most talented non-finalist in the state pageant. In addition, Miss Bristol (MA) County - Kristen Matteson (4th runner up to Miss Central Pennsylvania 1994 and a contestant in the 1995 Miss Central Pennsylvania Pageant) was named most talented non-finalist in the Miss Massachusetts Pageant. Also participating in the Miss Pennsylvania Pageant was Miss Cumberland Valley - GiGi Gordon (a contestant in the 1994 Miss Central Pennsylvania Pageant). John R. Metzger, Executive Director of the Miss Central Pennsylvania Pageant, was named Pennsylvania "Volunteer of the Year" at the Miss Pennsylvania Pageant. Other contestants in the 1994 Miss Central Pennsylvania Pageant included Miss Pennsylvania 1996 GiGi Gordon and Miss Central Pennsylvania 1996 Julianne Hetrick. Also participating in the Miss Pennsylvania Pageant were Miss State Capitol - Kirstin Border (Miss Tri-County 1992) and Miss Butler County - GiGi Gordon (a contestant in the Miss Central Pennsylvania Pageant). Kirstin was named Miss Pennsylvania and GiGi, the 4th runner-up. Mifflin County had three representatives in the Miss Pennsylvania Pageant. In addition to Susan Rishel, Raysa Acosta (Miss Tri-County 1986) was Miss Lancaster County and Karla Smith (Miss Tri-County 1987) was Miss Greater Reading. Raysa was named to the Miss Pennsylvania Top Ten. Special Thanks to Joseph G. Berrier and the "Lewistown Sentinel" for help in gathering information for this page.